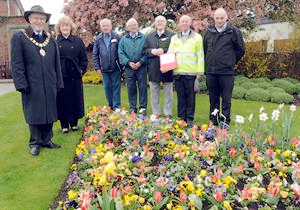 On Tuesday 17th April 2012 Yorkshire in Bloom judges Paul Kitson and Les Hutchinson visited Pocklington for the spring judging in the town section of the competition. Although the weather had been poor during the early morning the rain had stopped by the start of the visit at 10am. 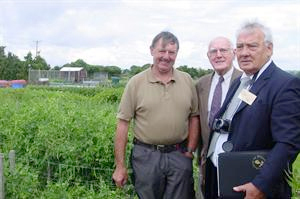 Ther judges were met by Pocklington’s Town Mayor Councillor Graham Perry who welcomed them to the town. 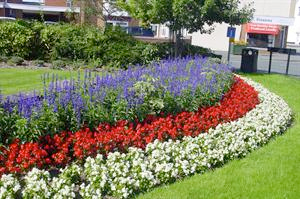 Pocklington in Bloom members John Barber and Richard Wood then showed them around the town. Linda Sykes from the W.I. showed them the WI flowerbed. 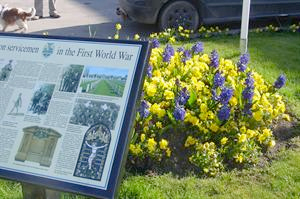 The judges were then taken along Station Road to the war memorial. 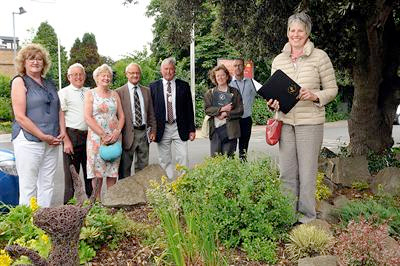 At Stewarts Court the judges remarked on how smart the gardens are kept. 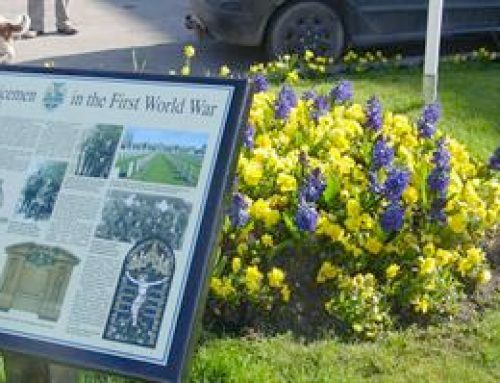 The photographs show the judges in these gardens. 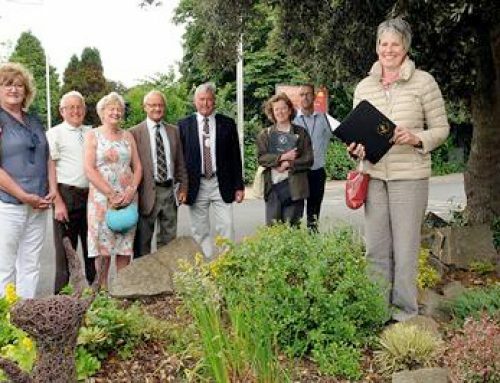 Ann Wilson showed them round the front gardens at Betterton Court and then it was up to the Infants Schhol to view the Gardening Gang’s work on their sensory garden and their raised beds. 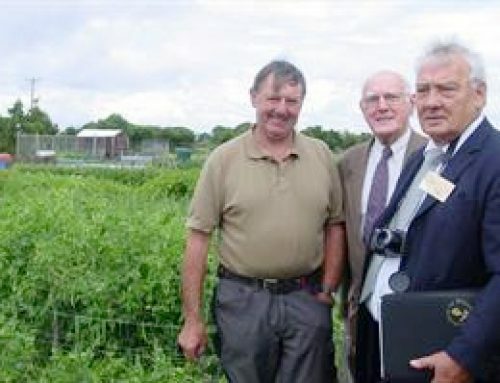 At the nearby allotments Pocklington Allotment Association chairman, Joe Goddard, showed them some of the allotments. The judges were then shown the recycling scheme operated by volunteers in the town. 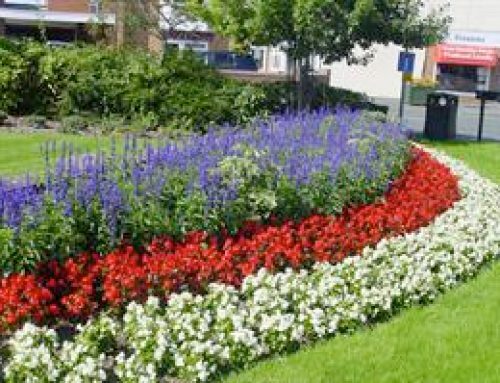 On a subseqent ride around Sherbuttgate Pocklington they were shown the well tended front gardens. We then drove back to Burnby Hall Gardens where the head gardener Ian Murphy gave a quick tour of the gardens. This was a really good visit and will be followed by a summer visit in July.